At Canvus, we value our relationship with you and place the highest importance on respecting and protecting your privacy. We want you to feel comfortable and confident when using our products and services and with entrusting your personal, company and financial information to us. The following Canvus businesses and processes adhere to the US Safe Harbor Privacy Principles of Notice, Choice, Onward Transfer, Security, Data Integrity, and Access and Enforcement. Information collected by Canvus: Canvus collects personal information such as your name, shipping/billing address, e-mail, phone, and credit card number when you interact with us for sales, service, support, registration and payment when you sign up for our inventory system. We may collect and store sensitive information such as account and purchase information on your behalf as part of the services provided to you. We collect personal information to deliver and allow access to our products and services. We collect information about your system as it interacts with us such as your IP address and browser information. We use common internet technologies, such as cookies and Web beacons to manage our Web sites and services, advertising and e-mail programs. We collect user feedback, community discussions, chats and other interactions at our sites. We may obtain additional information about you, such as demographic information, from commercially available sources. Protecting your Information: Canvus works to protect your personal information from loss, misuse, or unauthorized alteration by using industry-recognized security safeguards, coupled with carefully developed security procedures and practices. We maintain physical, electronic and procedural safeguards that comply with applicable laws and federal standards. 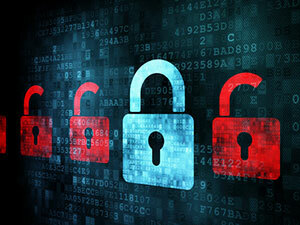 Your sensitive information, such as credit card information, is encrypted when it is transmitted to us. We are trained and required to safeguard your information. How we use your Information: Canvus does not sell or rent your personal information with anyone for promotional or marketing purposes. We do not share your personal information with anyone outside of Canvus for their promotional or marketing use without your consent. Canvus uses your personal or financial information to provide you with information and services you request, to inform you of other products and services, and to give you a customized interactive experience as you use our products. We also use the information for support, to develop new features, and to improve the overall quality of Canvus's products and services. We may also use the information to show you a history of your activity, to provide you with statistics about you or your use of our product or service, or to provide you with a better user experience. We may summarize information about you, in a way that does not identify you personally, and combine it with other information to understand how our products are used, to deliver products and services and to help us develop new products and services. We may use service companies to help provide you with products and services who are not allowed to use your information for their own purposes. Your Choices: You may choose to provide as little or as much information about yourself and your firm as you desire; however, certain information is required to create an account within our inventory system and like applications. This information is required to provide you with the level of service described in our Service Level Agreement (terms and conditions) such as inventory transactions and contact and billing information. Contact Us: If you have questions or concerns about Canvus's collection, use, or disclosure of your personal information, please contact the support team.